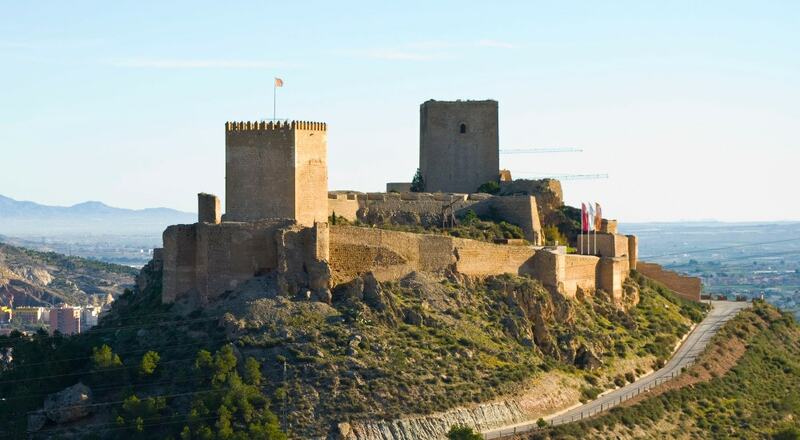 Lorca Castle is a fortress of medieval origin constructed between the 9th and 15th centuries. It consists of a series of defensive structures that, during the Middle Ages, made the town and the fortress an impregnable point in the southeast part of the Iberian Peninsula. Lorca Castle was a key strategic point of contention between Christians and Muslims during the Reconquista. It is 640 m long and 120 m wide, and one of the largest castles in Spain. Currently, a parador (a type of luxury hotel) is being built within the castle. As a result, archaeological discoveries have been found, including a Jewish Quarter.